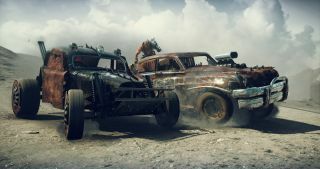 Watch the above Mad Max trailer to be given a series of difficult choices about the particular brand of carnage you'd like to see unfold. Not that the options are particularly clear. I mean, maybe it's just me, but I'm not sure what exactly it is that makes an act of car violence "heavy," rather than "loud." They all seem pretty loud to me. Mad Max is out on September 1, and looks like an enjoyable time in heavy/loud/mad cars. You can find its system requirements right here.